Meike Peters, the author of the acclaimed cooking blog Eat in My Kitchen, presents a cookbook as inviting, entertaining, and irresistible as her website, featuring dozens of never-before-published recipes. Meike Peters’s site, Eat in My Kitchen, captures the way people like to eat now: fresh, seasonal food with a variety of influences. It combines a northern European practical attitude, from the author’s German roots, with a rustic Mediterranean-inspired palate, from her summers in Malta. This highly anticipated cookbook is comprised of 100 recipes that celebrate the seasons and are awash with color. Indulge in the Radicchio, Peach, and Roasted Shallot Salad with Blue Cheese; Parsnip and Sweet Potato Soup with Caramelized Plums; Pumpkin Gnocchi; mouthwatering sandwiches like the Pea Pesto and Bacon with Marjoram; and seafood and meat dishes that introduce tasty and unexpected elements. Meike Peters’s famous baked treats include everything from pizza to bread pudding, and perfect cookies to sumptuous tarts. Also included are many of her fans’ favorite recipes, including Fennel Potatoes, Braised Lamb Shanks with Kumquats, and a Lime Buttermilk Cake. Six "Meet In Your Kitchen" features include recipes by and interviews with culinary stars Molly Yeh, Yossy Arefi, Malin Elmlid, the Hemsley sisters, and more. Followers of Meike Peters will be thrilled to have her exquisitely photographed recipes in print in one place, while those who aren’t yet devotees will be won over by her unpretentious tone and contagious enthusiasm for simple, beautiful, and tasty food. 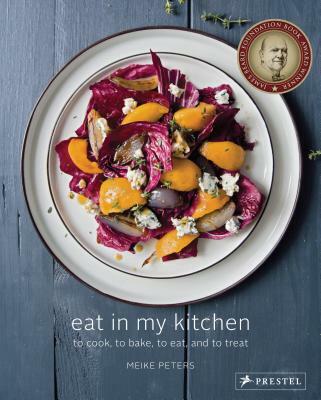 Cookbook author MEIKE PETERS won the James Beard Award for her first cookbook, Eat In My Kitchen. She's a food and travel writer and started her food blog of the same name in 2013. She lives in Berlin and Malta.